The story is simple - anyone online is at risk from hackers and all types of malicious hardware that can wreak havoc on their devices. A Virtual Private Network (VPN) can provide a high-level of security, while also allowing you to access content from around the world no matter where you’re located. One of the best things about VPN services is that they provide a lot of very appealing features without breaking the bank. Most hover around $10 a month, but many of the top VPN providers feature deals as low as $2-3 a month once you sign up for a one- or two-year plan. The low prices mean it doesn’t really pay off to settle for a free VPN service, and that more people than ever can enjoy the services that a premium VPN can provide. If you’re not familiar with VPNs, these are groups of computers that work as a network and which you can access from your computer or mobile device in order to surf the web safely and also change the geographic location of your computer. This can help you stay safe from eavesdropping, but also access content - like Netflix or Hulu - which may be banned in your locale. How to Choose the Best Cheap VPN Services? When looking for a VPN, you should first determine what your needs are. If speed is the most important priority, then check which ones have earned the highest marks for customers when it comes to speed. This is typically - but not always - the VPNs that use the most servers and offer customers unlimited bandwidth. Is security a major concern? It should be for everyone, but for some of us it’s more important, and you don’t have to be a dissident accessing websites blocked in your country to care about security. Look for a VPN that not only keeps zero logs of your online activity, but that can also screen for malware and other online threats when you’re surfing. If your security needs are less than remarkable, then it may not be worth it to seek out a plan that provides more than the typical level of security. Is streaming the reason for your purchase? If so, look for a provider that can unlock US Netflix or other streaming sites you’d like to access in your locale. And if you're a bit concerned about your ability to install and operate the VPN, then you may want to consider a provider that is easy to set up and use, or that at least offers extensive customer service. In addition, if you’re a bit unsure about trying it out, you should try to find a provider that includes a trial period or money-back guarantee. So which VPN providers get you the best product at a cut-rate price? Let’s take a look. Simple, easy-to-use, and with great speed, ExpressVPN​ has a lot to offer to VPN customers. The company has servers in over 136 cities worldwide, helping them ensure great connectivity and speed. This can come in handy if you’re using the VPN to watch US, UK, or Canadian Netflix from some far-flung locale across the globe. ExpressVPN can also help you unblock Netflix on smart TVs, Apple TV, and game consoles. And while there is no free trial, there is a 30-day money back guarantee, so you can try it out with minimal risk. The company also includes a no-logging guarantee, and provides 24/7 customer service, including by email and live chat. And the price? At $12.95 for one month, it’s on the pricier end of the spectrum, but if you sign up for a 12-month plan, you get 3 months free and the price drops to only $6.67/month. NordVPN​ is a top VPN provider that has won high marks for its security. The company uses what it refers to as “military-grade encryption” and cryptographic algorithms to secure user data. The company boasts that these scecruity protocols are so strong that they “cannot be cracked even by the strongest computers.” The service also automatically blocks dangerous websites and scans for all types of malicious hardware, helping you stay safe online. Setup is quite easy as well. You just download the program and then follow the prompts. You can also test out different servers and then choose the one that’s running the fastest. With NordVPN, the cost is $11.95 for 1 month, and the price drops to $5.75 per month for a 1-year plan, $3.29 for the 2-year plan, and $2.75 for the 3-year plan. These prices are even more appealing when you consider that you can use the VPN on up to 6 devices at once. You can also use NordVPN to access US Netflix. PrivateVPN​ can provide you with a fast and reliable VPN service that has some of the toughest security out there, along with a strict no-logging policy. With PrivateVPN you can also access US Netflix from overseas. PrivateVPN also has very attractive pricing. It costs only $6.57 per month, and if you go for a year plan, it’s only $2.88 per month. The year-long plan actually runs for 15 months, and with PrivateVPN, anytime a friend you referred buys a plan, you are given points that you can use for your membership. No matter which plan you order, you can take advantage of 24/7 live customer service. PrivateVPN is also risk-free—you can try it for up to 30 days and if you’re not happy you can use the money-back guarantee. CyberGhost​ will have you up and running with a safe and secure connection that keeps zero logs of your online activity. With over 1,000 servers and unlimited bandwidth, the company promises high speed that is well equipped to handle all types of streaming. You can also switch servers whenever you like if you see that one is performing faster than others. And speaking of streaming, with CyberGhost you can unlock US Netflix from across the world. The company also offers 24/7 customer service. The price for 1 month - $11.99 - isn’t anything to write home about, but if you upgrade to a 2-year plan the price goes down to just $3.50 per month. PureVPN​ calls itself “the world’s fastest VPN service” and backs that up with unlimited bandwidth. Whether or not it’s the world’s fastest VPN may be up for debate, but the system automatically chooses the best server for your selected purposes - be it for gaming, streaming, or if you just need anonymity online. The company also puts a premium on security and provides you with secure WiFi and an internet kill switch to shut the internet off if the VPN for some reason stops working. When it comes to customer service, the company includes a large amount of tutorials on its website and provides users with 24/7 live chat. You can also unblock US Netflix with PureVPN. What Makes a Good Cheap VPN? A good affordable VPN should come with some basic features included. It should have a high-level of security, including a kill switch to log you off automatically if for some reason it stops working. It should also keep no logs of your online activity. An affordable VPN should also provide unlimited bandwidth and the ability to move around to other servers if a faster one is available. You should have access to reliable customer service as well. It would be far preferable to find a provider that will allow you to use the device on multiple devices simultaneously, including mobile and desktop. Bottom line, a good cheap VPN will have - speed, security, solid customer service, and the ability to work on multiple devices at the same time. Do Cheap VPN Keep Logs? VPN companies commonly advertise a strict no-logging policy and this is something that you should easily be able to find, even with a cheap VPN. That said, if you want to ensure absolutely zero logging or traces of your activity, you may need to use TOR. Is Cheap VPN Good for Torrenting/Streaming? Though Netflix and other streaming services are getting better at keeping VPN services from using them, you can still find affordable VPN services that allow you to watch US (or other countries) Netflix or stream Hulu, from points all over the world. And most cheap VPNs should be able to provide the type of speed you need to stream quickly and effectively. Free VPN services typically do not provide the same high level of security as paid VPN plans. With paid plans users can access other types of VPN protocols in order to keep themselves safe online. With that lower level of encryption your VPN may work faster, but you won’t be as safe online. With free plans you may be subject to logging of your online activities in order to use your data. In addition, most free plans don't provide the same level of customer service. Depending on where you’re traveling, you may face more security threats due to higher levels of government eavesdropping or a higher preponderance of hackers in the country. This is especially true if you’re using WiFi connections in places overseas where eavesdropping and hacking are more common. With a VPN you can bypass these threats and surf the web as if you were still back in your home country, while also giving yourself the ability to access websites that may be blocked in the country you're traveling in. 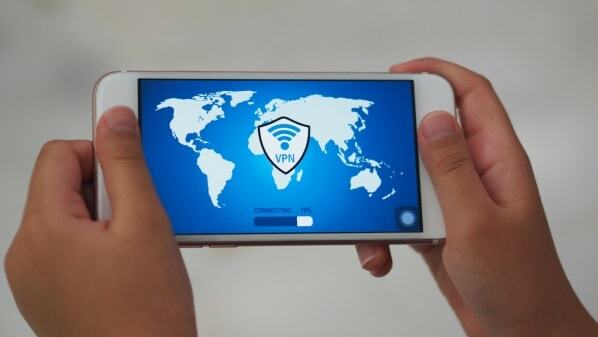 Basically, if you’re traveling, find a VPN service that can work on your mobile device and that provides a high level of security and an automatic kill switch. The sheer volume of threats online today make the use of a VPN a better idea than ever before. You can keep your data and your devices secure, and bypass any local censorship, which should allow you to surf with a little bit of peace of mind. And while free VPN services can help to a certain extent, it’s definitely worth breaking out the wallet if you’re considering a VPN service. Luckily, you don’t need to break the bank with today’s cheap VPN options.